Janasena chief powerstar Pawan Kalyan has been increased aggressive with the words. As part of the Jana Sena Porata Yatra he criticized TDP by critics. On May 20, 2009, a trip to Uttarakhand reached Vizianagaram. Pawan Kalyan has been criticized by the government in a protest march in Kuruppam on Thursday. On this occasion the government issued warnings. Speaking at the public meeting .. if he wakes up before Chandrababu .. at any time he will be able to take the status of personal gain .. Honoring the BJP leaders in Amravati. Nothing is going to happen now. 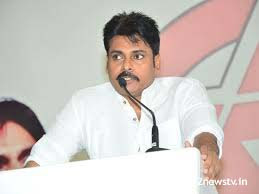 You make the deals you yourself are .. People are watching Babu Garo .. Pawan Kalyan warned the government that the defeat of the Telugu Desam Party in the 2019 elections. There is no medical facility in Kuruppan tribal villages. But if you get 70 km from here, the lack of medical facilities is worse. Tribal people as a vote bank to the Telugu Desam Party but they do not have problems. Chandrababu asks millions of crores in Amravati. Here Bridge can not be constructed with 10 crores. Kuruppam knows how many people know that Amravati is the capital .. There are educated youth but there are no jobs. Many immigrants are going out. Uttarakhand is ignorant. Amaravati is the place where you have to go back and forth? What else is the tribal areas? If you make this kind of a similar style, then the Kalingpandra movement comes again. For watering and funding, the Telangana movement took place. For the movement of this movement, for the minimum requirements. Improve priorities in pre-Singapore areas If your boy is talking to us, we have our roads. You are your son. See whether there are roads here. There is no minimum bus in Vizianagaram district. You do not have to wear roads to your boy. Roads should be placed in people where people have money. The people have been cheating people without fulfilling their assurances in the last election. In the 2019 elections, the Telugu Desam Party was defeated by the defeat.